1) A service used by people with dynamic IP addresses (for example with dial-up Internet connections) to assign a domain name to their ever changing IP address. Typically a small software client application must be installed on the client computer. 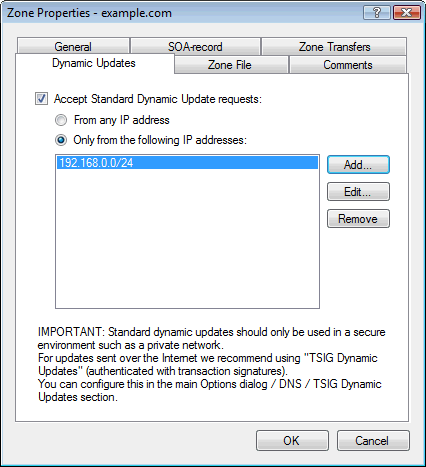 Generally these dynamic DNS client applications will update the remote DNS server either via HTTP requests (accessing a script on the dynamic DNS service web server, which in turn updates the DNS server), or via cryptograhically signed update messages over the DNS protocol itself (TSIG). If you have a static IP address yourself, you can use Simple DNS Plus to run such a service for other people with dynamic IP addresses. 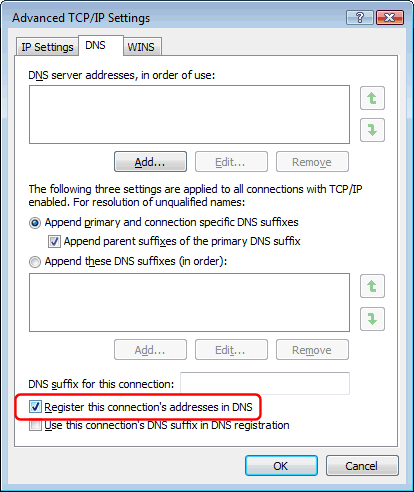 Simple DNS Plus supports both methods - please see the references section below. 2) Recent versions of Microsoft Windows (Me/2000 and later) have a feature which allows the client computer to "register" itself with a local DNS server. This is done through dynamic DNS updates sent via the DNS protocol directly.